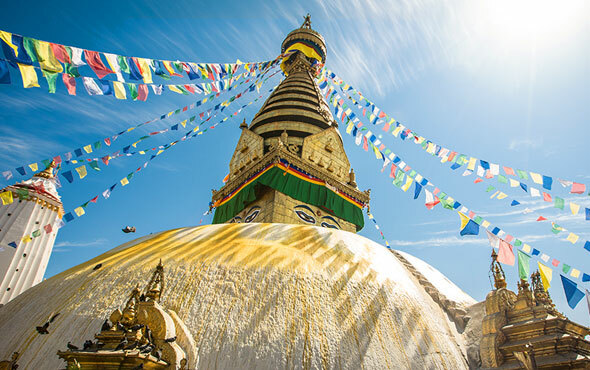 Venture from the lofty Himalaya to the wild jungle as you flightsee Mount Everest, track one-horned rhinos in Chitwan National Park, explore Lhasa’s Potala Palace and unwind in the lush foothills of Dhulikhel. One of the world’s highest plateaus (approximately 12,000 ft. above sea level). Home to the Potala Palace, former living quarters of the Dalai Lama. Visit one of Tibet’s holiest shrines, the revered 7th century Jokhang Temple, where pilgrims come to prostrate themselves before the statue of the Sakyamuni Buddha, lavishly enthroned in silver and gold.